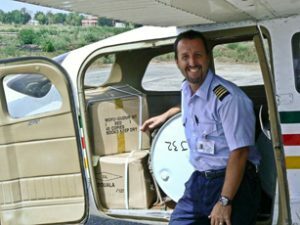 Would you consider using your skills and gifts as a pilot to bring life and hope to those who are needy and lost? Are you looking for real purpose as you fly the friendly skies? Opportunities exist both here at home and abroad. Regardless of where you fly, you will be using your skills as a pilot to further God’s kingdom. Airplanes are used here in the United States to increase mission aviation awareness and train new pilots, while overseas airplanes are used to facilitate Bible translation, provide humanitarian care for local communities, and generate revenue for mission flight subsidies. As a pilot in command, you are responsible to carry out assigned flights in accordance with JAARS company policy and appropriate civil aviation regulations, ensuring the safety and security of your passengers and cargo.